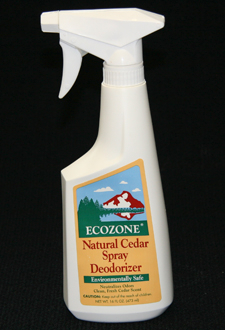 Effectively controls odors with all natural ingredients. Contains NO artificial fragrances. Ingredients: Purified Water, Cedarwood Oil, Irish Moss, Soap Plant and Boric Acid.